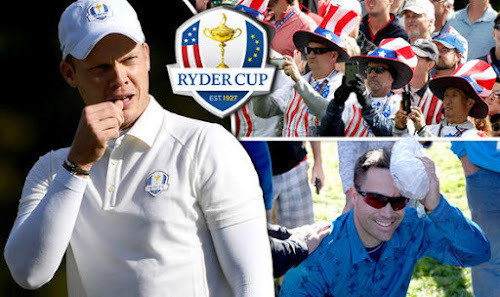 The idea that Danny Willet, the reigning Masters champion (and the tenth highest ranked player around the world) has been sat out from Friday’s opening foursomes session of the Ryder Cup has not only infuriated some people but it has drastically changed the betting odds at any sports book. And it isn’t even Danny’s fault that he was overlooked when the pairings were unveiled after the opening ceremony. All attention at his point is aimed towards Danny’s brother, who made some rather disparaging remarks about U.S Golf fans. Danny cannot be happy that he has to team up with the young Belgian Thomas Pieters when everyone was looking forward to his partnership with Lee Westwood. The pair will be facing Dustin Johnson and Matt Kuchar. Proceedings will kick off with Justin Rose and Open Champion Henrik Stenson, the pair facing Patrick Reed and Spieth; then there is also Phil Michelson and Rickie Fowler facing Rory McIlroy and Andy Sullivan. While Sergio Garcia and Martin Kaymer are bound to attract some interest when they take on Jimmy Walker (USPGA Champion) and Zach Johnson, all anyone is going to care about is the fact that Danny won’t be one of the two rookies Clarke is expected to Blood on the first morning, and again, this is hardly Danny’s fault. Danny admitted recently that the article his brother Pete wrote had tainted his debut; this was after a terrible final practice round. It cannot be easy for Danny to get back on the horse and to practice for all those hours while keeping his focus on the game, not with all the controversy that is creeping into his career. Danny has made no effort to defend his brother and he admitted that he was thoroughly disappointed in everything that Pete wrote in his article. Clearly, it has put somewhat of a downer on Danny’s first Ryder Cup. This isn’t the sort of controversy you want to hang over your head as a rookie, not during such a special week. Danny’s situation wasn’t made any easier by spectators, many of whom were not only clearly offended by Pete’s article but they had no problem expressing their anger. One particular man was heard bellowing and asking if Danny wanted one of his Jelly Doughnuts; this was during Danny’s final practice round on the first hole. The 28-year-old looks like he is doing everything to maintain his good natured and calm personality, though you can see the strain in some of his interviews. Willet said he wasn’t surprised that he was attracting so much attention, being a foreigner in America. He also expressed surprise at just how rowdy the American Fans at the Ryder cup were. Most professionals are used to the heckling and they learn to deal with it, but only if it doesn’t go too far. Peter Cowen, Danny’s coach is afraid that things just might escalate. Pete painted a bullseye on his brother’s back when he wrote his article. At the present, Danny feels like he has to keep apologizing to the other American professionals in the sport, especially those at the Ryder Cup. The sooner all the noise dies down the better for Danny and his performance at the Ryder Cup.